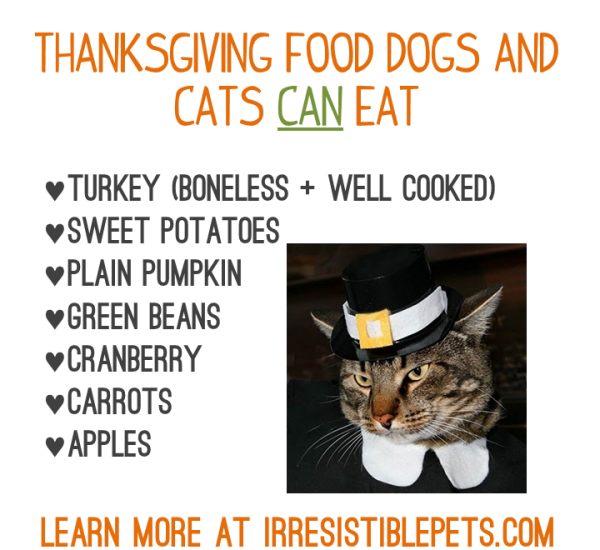 Thanksgiving is a time for people to indulge in yummy foods and sweet treats, but be cautious of letting your pets get into the Thanksgiving feast! 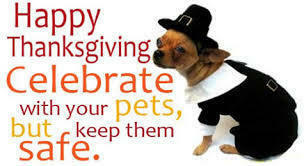 Many foods that are prepared for Thanksgiving gatherings can be harmful or dangerous to our furry friends. If you have a question about whether to let your pet have a taste of people food- contact your veterinarian or refer to the charts at the bottom of the page. - Bones from any animal- consuming bones can cause GI upset or diarrhea, or can cause an emergency situation like a bowel obstruction or can be a choking hazard. -Homemade or Store-Bought Sweets (Cake/Pie/etc)- Any sweets can contain an artificial sweetener called Xylitol which is deadly to our pets, chocolate is toxic to our pets also. 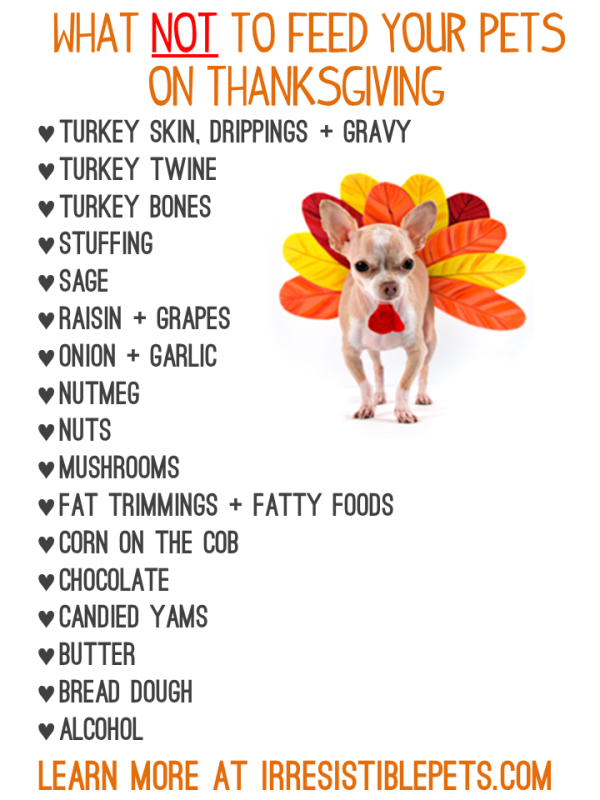 The list of foods your pet should not consume above is just a few popular ones out of many. For a full list of people foods your pet should stay away from Click Here. - Sweet Potatoes - Unseasoned, plain. Hello! Thanks for your article, especially for foods comparison chart, fount it very useful. Also dog is super cute! Look at this http://www.easyessayhelp.info/essayontime-com-review/ service. Have a good day!